There are a few things I want to get before my new semester starts. I'm going to try my best to stop going out to eat (as much) haha and hang out with my friends without spending a lot. Here are the top three things I've been wanting for awhile. 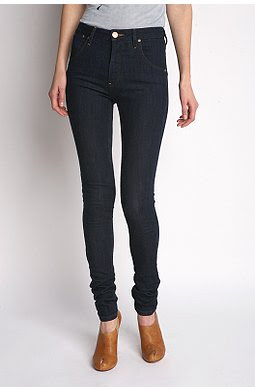 Obviously, I want a new pair of jeans, preferably from Urban Outfitters. Although I hardly wear them while attending my wonderful fashion college, I'm in need of a new pair. I want this perfume, Calvin Klein One Summer. I've had the original (which is my favorite), I've had the second version, and I know this isn't the original but they've changed it so it is a bit similar to the first. Also because I'm running out of my current scent, Burberry Brit. 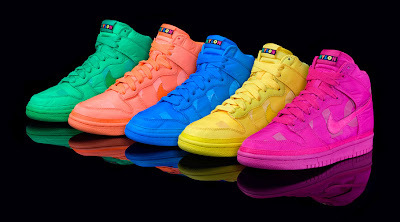 Lastly, I want a pair of these Nylon Magazine x Nike Sportswear sneakers. I've been wanting them since Nylon Magazine featured them in their blog & their magazine. I originally wanted the blue ones, but thinking about it I'm so getting the pink ones. At first, I thought I already own a lot of blue clothing, so the blue one would be the best to match things with but my friends were telling me the pink one is more me. And looking at the pictures online, the pink one does look a bit better. your shopping list is cool. those sneakers are crazy beautiful!! I like the yellow. They look unique. Lol. Those trainers are so bright! I'd love a pair to go to the gym with! !